Hotel Sempione, Florence. 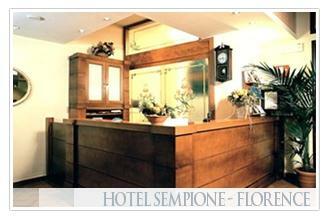 Sempione Hotel Florence. 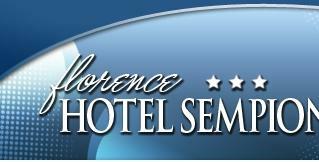 Hotel Sempione, three-star hotel, strategically located 100 meters from the train station Santa Maria Novella ensures its guests a wonderful stay in the heart of Florence. We recommend it for those who want to take advantage of proximity to major attractions in Florence without having to rely on long trips, thanks to its excellent location, our guests can visit conveniently to the main museums, monuments and famous shopping streets of Florence (Uffizi Gallery dell'Accademia, Duomo, Ponte Vecchio).